Sen. Marco Rubio, R-Fla., said on Thursday that the Trump administration is prepared to retaliate should U.S. embassy personnel in Venezuela be placed in harm's way. "If any harm should come to these diplomats from the United States, I want everybody to know that the consequences from this administration, that they'll impose, will be swift and they'll be decisive," Rubio told NBC News' Andrea Mitchell. With President Donald Trump and other world leaders recognizing Juan Guaidó, the leader of the U.S. backed opposition party, as Venezuela's interim head of state, President Nicolás Maduro on Wednesday ordered American diplomats to leave the country within 72 hours. Secretary of State Mike Pompeo responded to Maduro on Thursday by saying the U.S. doesn't recognize his authority, and therefore will not pull its staff. Meanwhile, a standoff is developing at the U.S. embassy in Caracas, as Maduro's allies threaten to pull gas and electricity from the Venezuelan capital, according to Bloomberg. When asked on Thursday if the U.S. is prepared to withdraw embassy staff should the situation grow dire, Rubio says the administration will be "constantly watching to make sure none of our people abroad are in a dangerous situation." "We expect them to be treated like any diplomats are. I'm saying we expect them to be respected. We expect for them to be safe," said Rubio. 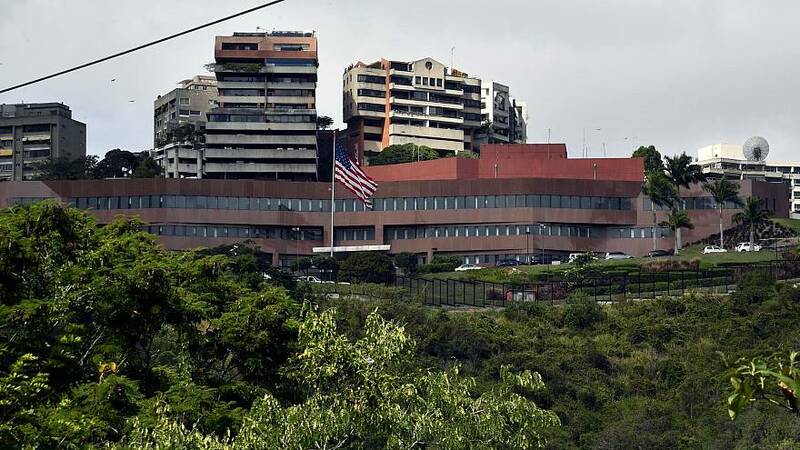 The latest move coming from the United States on Thursday, in a tweet sent by the U.S. Mission to the United Nations (UN), requesting a meeting of the UN Security Council this weekend to discuss the "ongoing crisis" in Venezuela. As protests in Venezuela grow more violent, Trump told reporters on Wednesday that "all options are on the table," a claim echoed by Rubio, who has been a fierce critic of the Maduro government for the last two years. "We're going to impose grave consequences on the people responsible for harm. And that should be left very clearly understood. You know, that's not some idle threat. I'm telling you, I can't go any further than that, but I'm telling you, the consequences will be significant," Rubio said.